Get out of town with these interesting Melbourne side-trips: Werribee Open Range Zoo (in Werribee) and The Great Ocean Road (in Torquay). Dedicate the 4th (Wed) to wine at some of the top wineries in the area. There's still lots to do: take in nature's colorful creations at Royal Botanic Gardens, contemplate the long history of Old Melbourne Gaol, stroll through Melbourne Zoo, and don't miss a visit to Shrine of Remembrance. To find where to stay, other places to visit, reviews, and more tourist information, go to the Melbourne trip itinerary builder site . The Route module can give you travel options from your home to Melbourne. In August, daily temperatures in Melbourne can reach 16°C, while at night they dip to 6°C. Finish up your sightseeing early on the 9th (Mon) so you can travel to Uluru-Kata Tjuta National Park. Uluru-Kata Tjuta National Park is known for nature, museums, outdoors, trails, and classes. Your plan includes some of its best attractions: take in the dramatic natural features at Uluru, contemplate the waterfront views at Mutitjulu Waterhole, take in the pleasant sights at Lungkata Walk, and get outside with Walpa Gorge. To see where to stay, more things to do, traveler tips, and more tourist information, use the Uluru-Kata Tjuta National Park day trip planning app . You can fly from Melbourne to Uluru-Kata Tjuta National Park in 5 hours. Another option is to drive. Expect somewhat warmer temperatures when traveling from Melbourne in September; daily highs in Uluru-Kata Tjuta National Park reach 33°C and lows reach 12°C. Wrap up your sightseeing on the 13th (Fri) early enough to travel to Darwin. When in Darwin, make a side trip to see Litchfield National Park in Batchelor, approximately 1h 20 min away. Spend the 14th (Sat) wandering through the wild on a nature and wildlife tour. Plan for a day of cool, family-friendly fun on the 20th (Fri) at Darwin Waterfront. There's lots more to do: kick back and relax at Mindil Beach, identify plant and animal life at Crocosaurus Cove, cool off at Wave Lagoon, and take in the dramatic natural features at Berry Springs Nature Park. For maps, photos, ratings, and other tourist information, refer to the Darwin driving holiday planner. 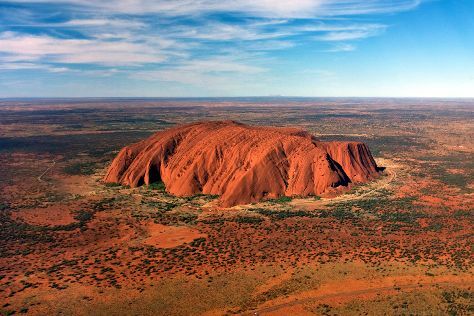 Traveling by flight from Uluru-Kata Tjuta National Park to Darwin takes 11 hours. Alternatively, you can drive. When traveling from Uluru-Kata Tjuta National Park in September, plan for somewhat warmer days and much hotter nights in Darwin: temperatures range from 38°C by day to 26°C at night. Wrap up your sightseeing on the 20th (Fri) early enough to travel to Broome. Spend the 22nd (Sun) wandering through the wild on a nature and wildlife tour. On the 24th (Tue), spend a fun day on foot with Walking tours. There's lots more to do: stroll through Cable Beach, identify plant and animal life at Malcolm Douglas Crocodile Park and Animal Refuge, see the world from above with a helicopter tour, and stop by Cygnet Bay Pearls Showroom. To see traveler tips, reviews, maps, and more tourist information, read Broome trip itinerary planner. Fly from Darwin to Broome in 6 hours. Alternatively, you can drive; or take a bus. The time zone changes from Australian Central Standard Time (Northern Territory) (ACST) to Australian Western Standard Time (AWST), which is usually a -1 hour difference. Traveling from Darwin in September, Broome is a bit cooler at night with lows of 21°C. Finish your sightseeing early on the 27th (Fri) to allow enough time to travel to Perth. Change things up with these side-trips from Perth: Fremantle (Western Australian Maritime Museum, The Shipwreck Galleries, & more) and Caversham Wildlife Park (in Whiteman). Dedicate the 30th (Mon) to wine at some of the top wineries in the area. On the 1st (Tue), give your taste buds a day to remember with a local gastronomic tour. 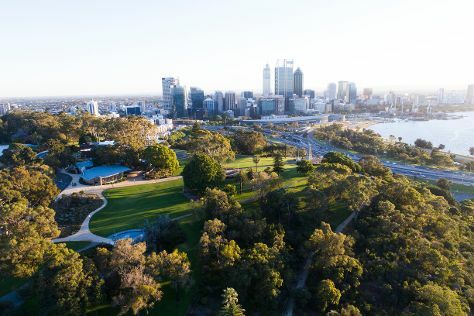 There's much more to do: take in nature's colorful creations at Kings Park & Botanic Garden, stroll through Perth Zoo, appreciate the history behind Kings Park War Memorial, and contemplate the long history of The Perth Mint. To see where to stay, traveler tips, other places to visit, and tourist information, go to the Perth day trip site . Fly from Broome to Perth in 4.5 hours. Alternatively, you can drive; or take a bus. Expect cooler weather when traveling from Broome in September: highs in Perth hover around 24°C, while lows dip to 9°C. Wrap up your sightseeing by early afternoon on the 5th (Sat) to allow enough time to travel back home.